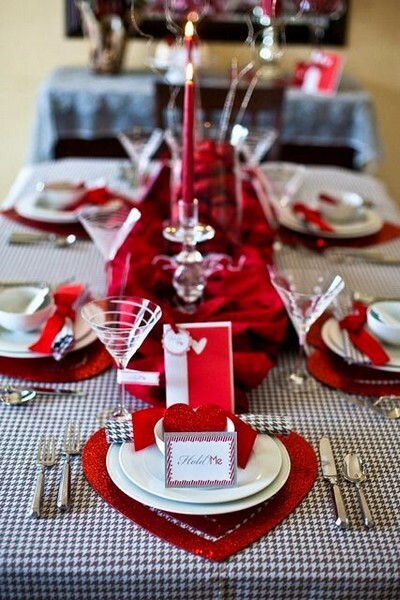 Festive table setting ideas can be simple and exquisite, cheap and luxurious, elegant and rustic. But they certainly will produce an impact on your sweetheart. 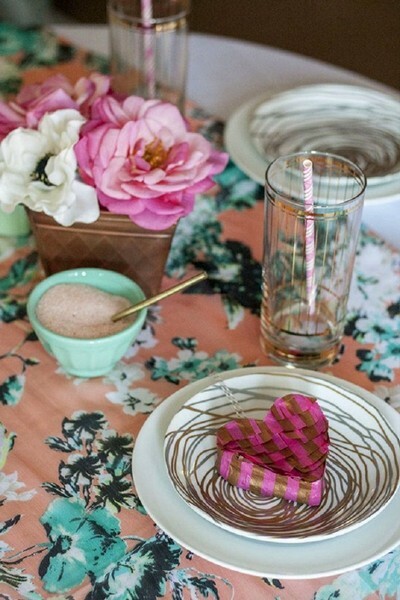 Today we have collected 15 beautiful ideas of Valentine’s Day table settings for your inspiration! We hope that they’ll motivate you so much, that you won’t wait till the 14th of February to say the most important words. 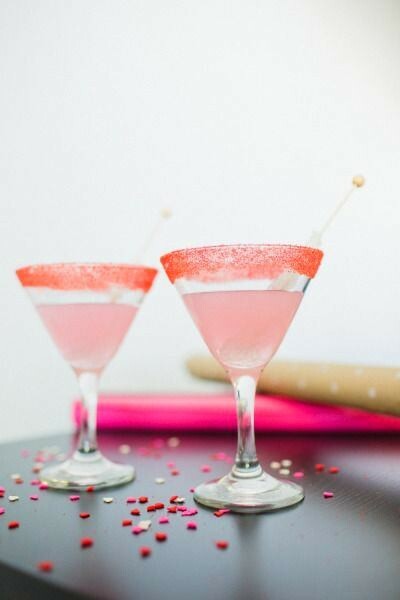 Valentine’s Days is an excellent reason to escape daily routine and add some love to every trivial thing around you. 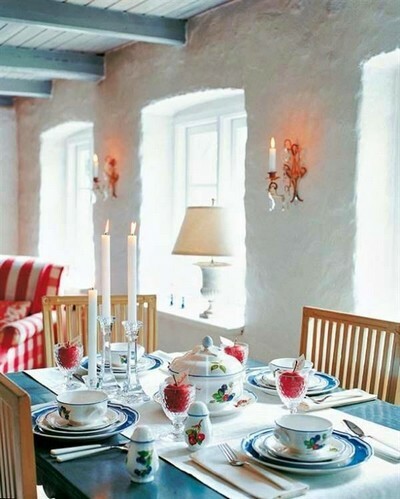 Beautiful tableware, delicious food, flowers, bands and other tender decorations seem to be made for this nice holiday. 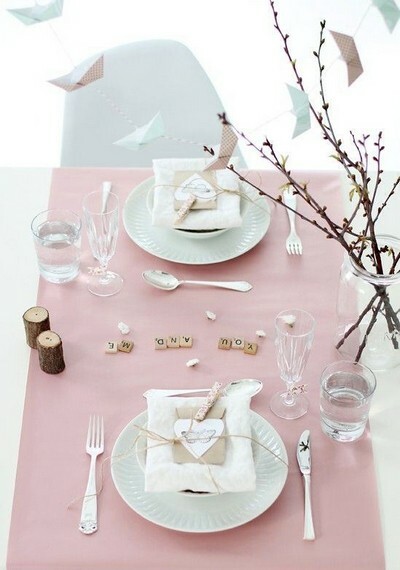 Table setting in pastel color palette is made especially for those who want to do without sugary stuff and pomposity. 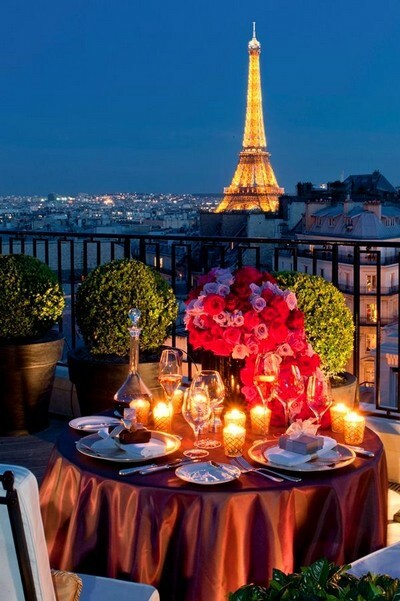 Such a setting is ideal to show what you really feel. If you can’t work up the nerve to say the most important words, a small card with warm words might be welcome. If you need to emphasize how serious your feelings and intentions are, choose saturated and deep colors, good wine and gorgeous porcelain. And if your love is strong and time-tested, you may allow yourself simple minimalism. 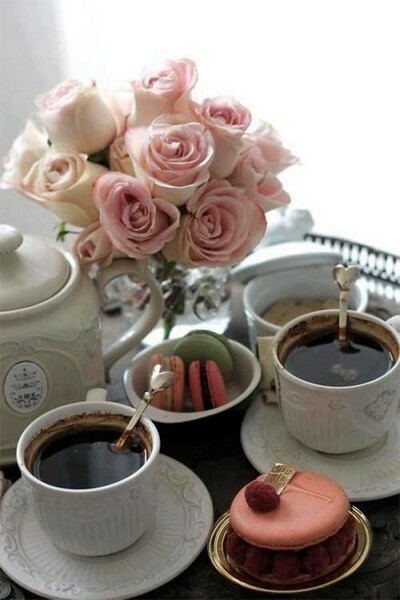 True princesses will appreciate classical table settings featuring pink, gold, luxury and sweet macarons. 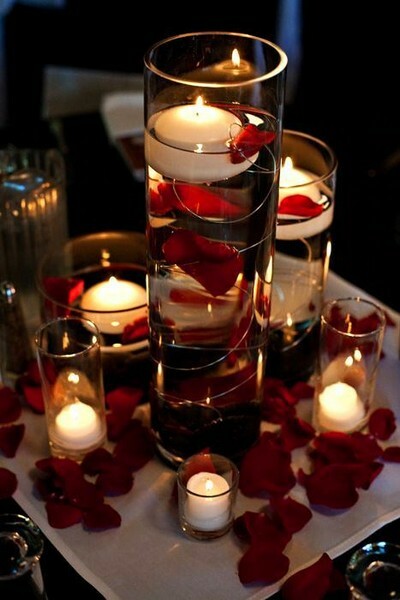 The 14th of February is the best reason to have a candlelight dinner. 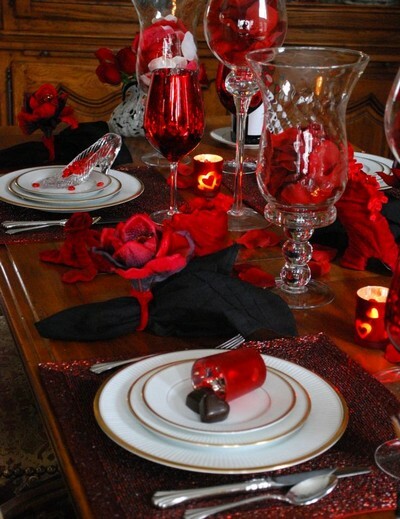 For extreme fans there is an idea of romantic and bold table setting. 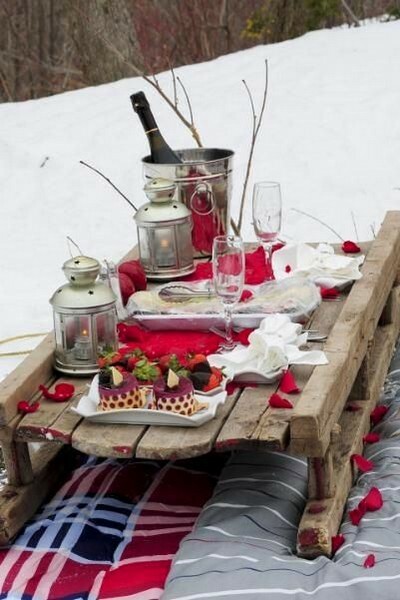 Though it seems more fit for a photo shoot, than for a sweet picnic. 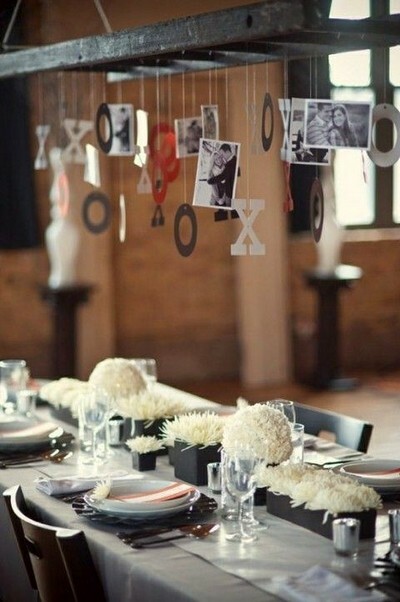 A table setting decorated with photos of sweethearts will personalize the holiday and make you feel alone in the whole world. 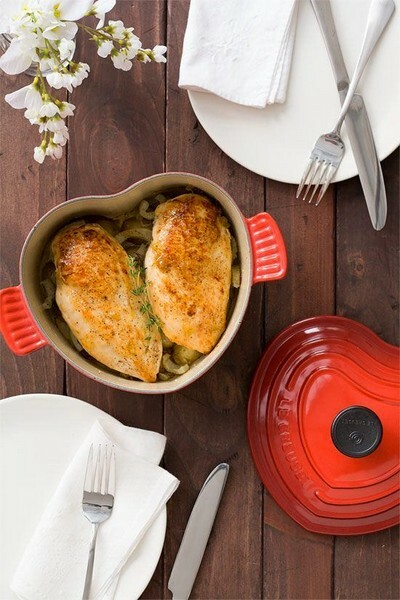 Why wait for a romantic dinner all day long? 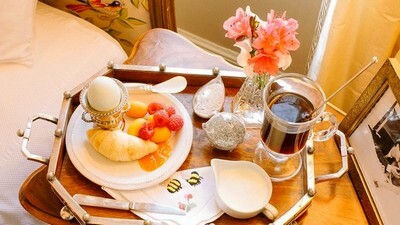 Start enjoying the holiday from early morning and invite your sweetheart for a festive breakfast. And there is even a better option – bring a breakfast in bed. 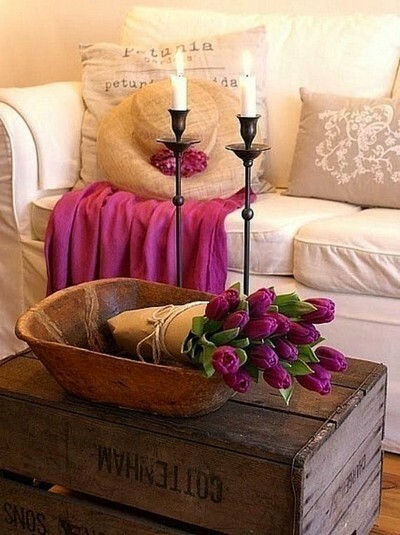 Wake up a little bit earlier and add some romantic décor to the room. 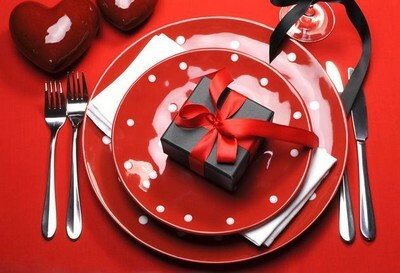 Valentine’s Day dinner is a good setting for giving long-expected presents. Listen to your heart only! If it tells you to decorate the table with apples – let it be so! 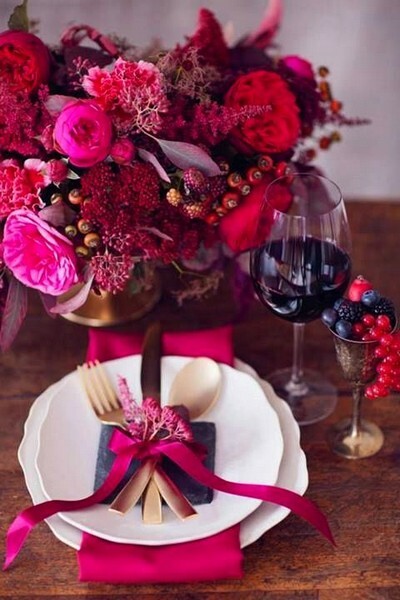 At least once a year make a fairy-tale dinner featuring flowers, bands and a crystal shoe. On this day even trivial cooking process can be made romantic.